In the fashion world every season comes with a new trend and Autumn was the ripped jeans. I may be a little late at getting on trend, mainly as I am on a budget like many people. I was sorting through my wardrobe the other day and found so many pairs of jeans that I don't wear so I thought would I wear them if I ripped them? They are available in most high street shops but I thought I would have a go myself, anyone can rip a pair of jeans at a fraction of the price. If you don't have a pair of jean already Primark is the place to go as you can pick up a pair for £7 in many colours. The pair of jeans I used were Primark ones and they cost me £4 in the sale a while back. 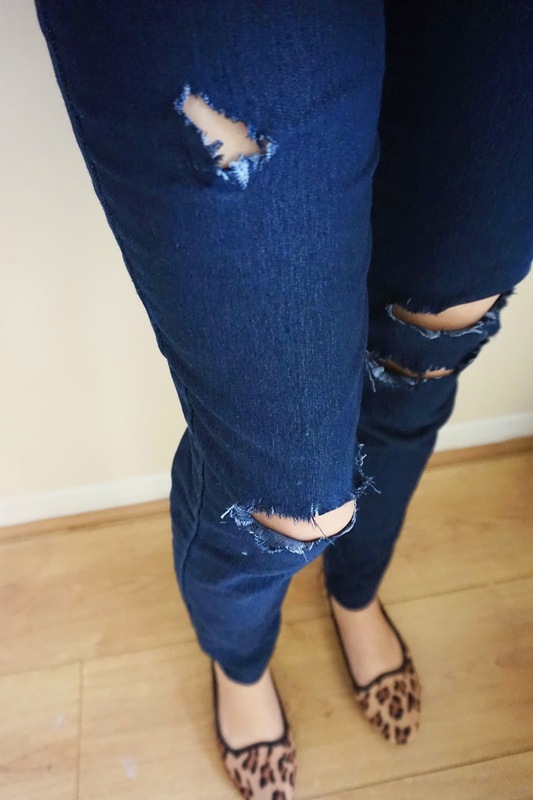 To make your ripped jeans you will need a pair of scissors, a pen and a nail file. 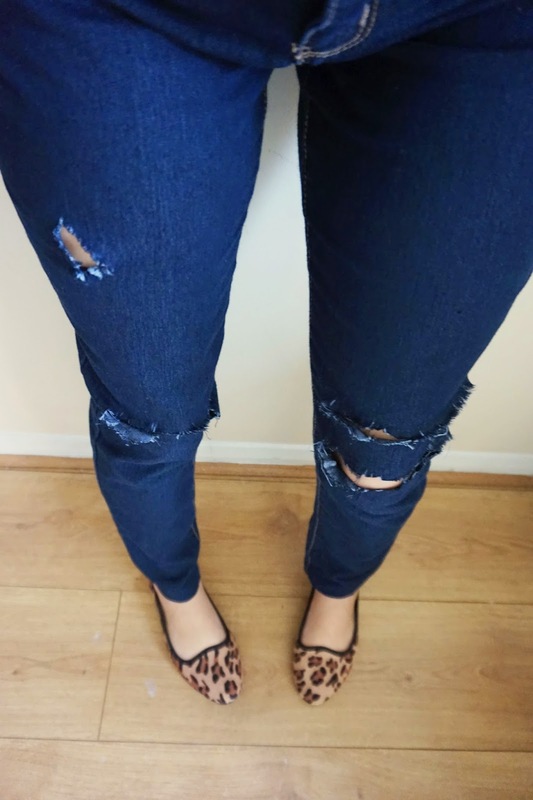 When researching online about ripping your jeans many people have used sandpaper, which I do not have so I thought a nail file would do the same job and more accessible for women. I found it easiest to wear the jeans and to mark on with a pen where I wanted the rips to go, getting them perfectly to fit my knees. 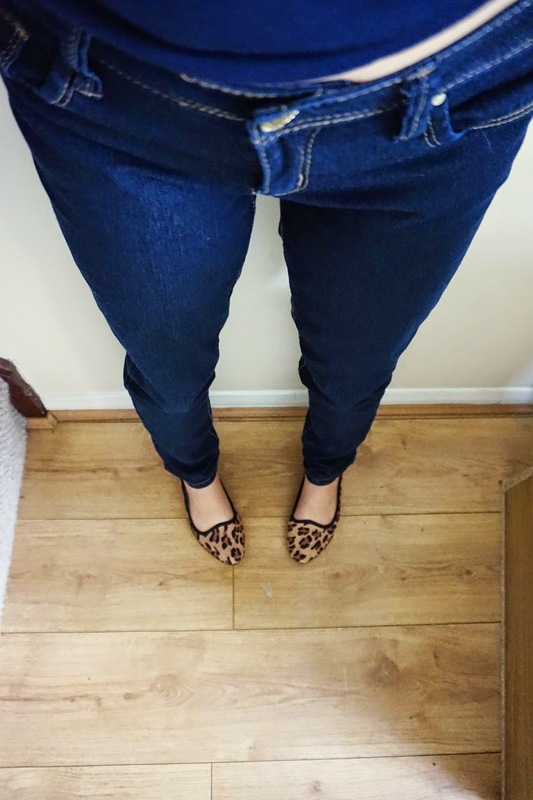 If you have jeans that are too long in length you could always cut the bottoms also giving that rough feeling to them which i did to mine as I am petite. Next take your jeans off and start cutting I only cut about a 1cm long and then used my hands to pull the gap out as desired so it wouldn't leave and straight cuts as for these jeans we don't want perfection. Using the nail file you can go over your cuts to give that fayed effect and you can also use tweezers to pull the threads out more if that's the effect you are going for. Now I own a pair of cheap and trendy ripped jeans, perfect for styling. 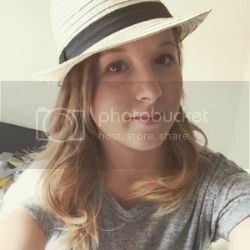 I would love to hear if you have a go at this yourself! Yeah the prices are extreme is some shops, it worth giving it a go! 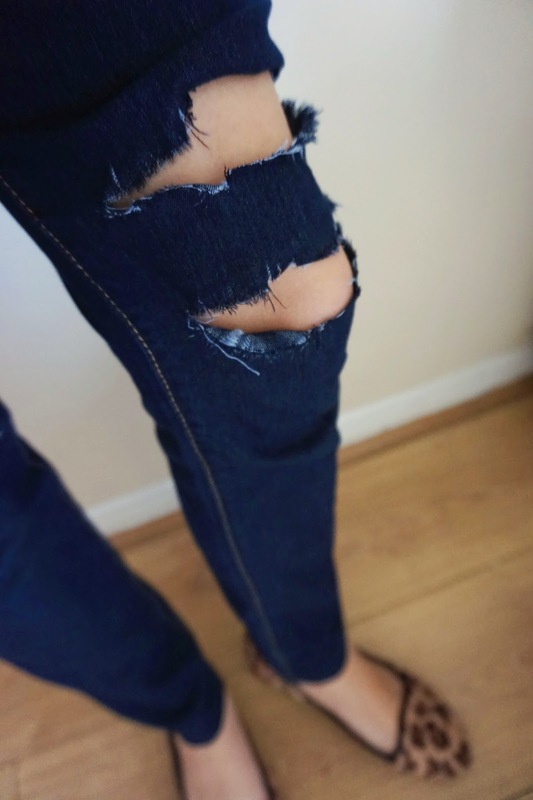 I so need to do this, every pair of ripped jeans I try on never have the rip at my knee... I must have strange legs! I'm petite so that doesn't help for me as they cut off at the wrong point.